We should like to invite you to find out about all aspects of our Church Ministry. The Rock, which is the Church magazine for the Aune Valley Benefice, gives details of special events and the current month's services. Click here to open the April issue. Thank you for reading about the Parish of Thurlestone with Buckland and Bantham. If you would like to join us for any of the services or events that are mentioned below then you’ll be sure to receive a warm Devon welcome. The Church rightly stands at the heart of the community in our villages and we are passionate about putting the Christian Faith into practice. We are an open and welcoming congregation and are committed to an open and welcome ministry. Please take time to read about what we do in the information below and please do join us. 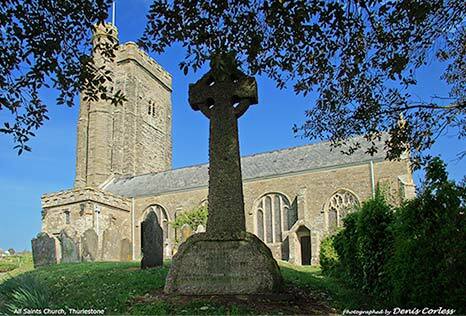 The Parish of Thurlestone with Buckland and Bantham is one of five parishes in the Aune Valley Benefice and Mission Community, the others being South Milton, Churchstow, Loddiswell and Woodleigh, under the care of the Rector, Revd. Daniel Hartley. ​All information and photos for the Church pages were contributed by Liz Webb.